We know how important our social media networks are to our generation and how it is essential for us all to constantly stay in the loop; but what happens when one renowned network teams up with an incredible media company to bring us viewers exactly what we want – a series that we can tune into at any hour of the day and even have the opportunity to be a part of the series through exciting challenges and competitions? Get ready for one of the most genius ideas as Telemundo and Endemol Shine Latino have joined together to bring out the first ever 24/7 bilingual digi-social, reality series titled, Love Clicks 24/7. We all can agree that it feels like we’re always on our phones and checking our social media networks at any chance that we can get. Well, Telemundo and Endemol Shine Latino are taking technology and great content to the next level with this phenomenal series. Viewers can watch Love Clicks 24/7 in either English or Spanish and can tune in… well, 24/7. The live streaming never ends and will be available across multiple mobile, linear, and social platforms. In fact, viewers will even get the chance to have their say with what happens in the show and will be able to join in on fun challenges on platforms including Facebook, Instagram, Snapchat and YouTube with opportunities to win exciting prizes and rewards. It’s so incredible to see how Telemundo and Endemol Shine Latino are making history by creating a 24/7 series – something that hasn’t been done yet by any other network out. 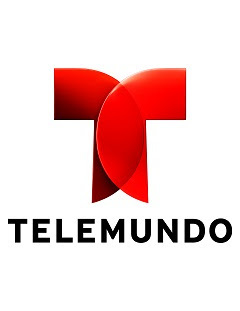 Telemundo and Endemol Shine Latino are showing how the technology infused world that we live in opens up a lot more opportunities for constant entertainment and even more amazing content we all can enjoy and watch. We are so fascinated with what Telemundo and Endemol Shine Latino have created and we know that it will certainly be a masterpiece. Be sure to stay tuned for Love Clicks 24/7! Previous Article: Asia Monet Ray Blew Everyone Away With Her Performance On “Harry” – Check It Out Here! Next VIPAccessEXCLUSIVE: J And Jordan Of American Made Supply Co. Interview With Alexisjoyvipaccess!